Used this frame for B&W photos of my newborn baby for Christmas gifts for family members. It turned out beautifully. 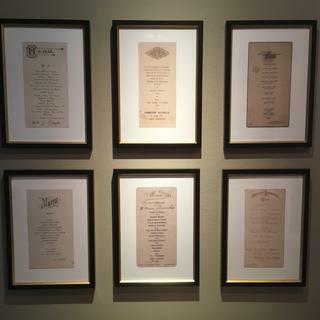 Love the way these frames came out with our Vintage Menu prints. We've been buying frames from "Pictureframes.com" for years now and they always have something that works with what were trying to accomplish, and always have great quality and customer service. there is many frames to choose from in a good order to help choosing, price was fair for product. delivered more quickly than expected. looks great. 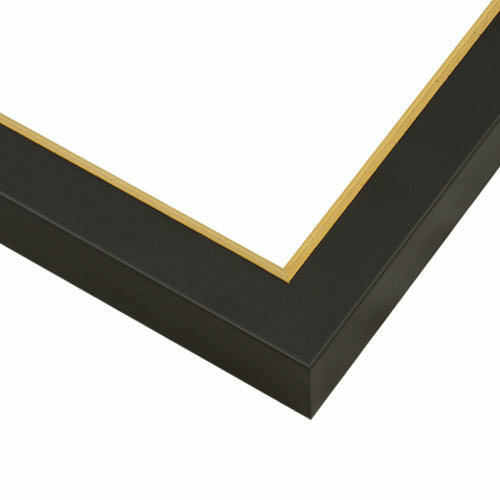 I like this frame because it is simple,contemporary, yet elegant with the gold inset. Works well with smaller paintings. My last photograph was printed and framed and I could not have been more pleased with the quality of the work and with this frame that did just what I had hoped it would. It looked so beautiful. I am thinking of using this frame on another image. Excellent product and service and now my lovely painting is enhanced by a beautiful and perfectly matched frame. Thank you! I framed a small print of Degas' Dancers at the Bar (1900) and it worked beautifully with this frame. Great value! I was looking for a pretty, inexpensive frame and mat for a 17" x 10" lithograph, and this fits the bill. Although not exceptional, the quality is better than I expected for a custom-sized frame at such a low (relatively speaking) price. I wanted a slim, basic frame with either gold or black. This had both. I did choose this type of frame because my artwork is has a fairly small size and needs an elegant, stylish frame. I believe that this will work well. Would be a nice accent to the oil painting it will frame and highlight colors in the piece. I liked the way it looked with the image of my painting. I also like that you can upload the image and try different frames with it. Great idea! Clean, classic and worked well with our wedding photo. Picked up the gold in the Eiffel Tower. After much deliberation... LOL. I thought the gold and black picked up colors in the print and it seemed to rhyme to me. THE ART HAS SOME GOLDEN TONES SO I THOUGHT THE GOLD WOULD ENHANCE THE PRESENTATION. It's going to look real pretty with my needlework. Gold edge gives a touch of class to the picture. Can you cut circular opening in mat? BEST ANSWER: I've never done it personally. However, depending on your final design, a local framing shop could cut a circle mat for you. I purchased this frame (no regrets - love it) with no matting as I was displaying 100 year old art work and wanted to tattered edges to show.. Thank you for your inquiry! We would love to help you with this. Please give our friendly framing experts a call at 1-800-332-8884 and they will assist you in placing an order for a map with a circular opening. 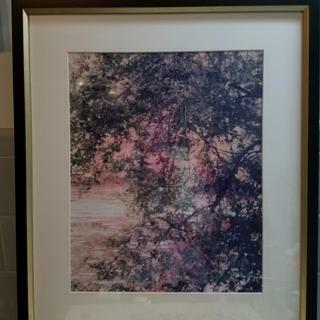 If the frame is fully assembled, how do I put the artwork inside the frame? BEST ANSWER: Hello! The frame will be open in the back .The artwork is placed into the back of frame. Thank you for your inquiry! If buying these frames for the French menus, what is the height and width of the finished product? BEST ANSWER: Hello Susan. I am happy to provide you with the information you need. In order to do so, I need to know the size of the French Menu? The inside dimensions of the frame will be the size of the same size as the menu. The outside dimensions of the frame is based on the artwork size plus the width of the frame. Please reach out to me by phone if you have any further questions. I can be reached at 1-800-332-8884. Happy Framing! 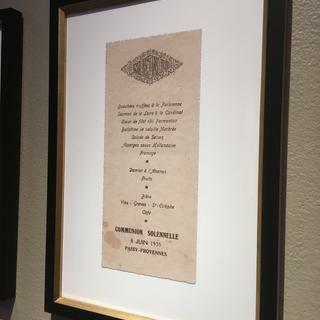 looking to purchase vintage french menu prints; they are 11 x 16. i see that these have been done by you before. What do you suggest i need? BEST ANSWER: Hello Susan! Thank you for your inquiry. 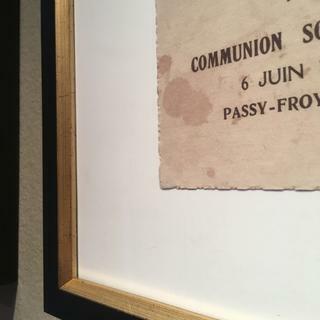 In addition to the frame, please add acrylic and foam core backing to the order. If you have any additional questions, please let us know. Happy Framing!